This year our Open Creamery Day took place on Sunday, October 11th, 2009 from 11am to 3pm (unless otherwise noted below). Read the Bangor Daily News article on Open Creamery Day at Olde Oak Farm in Maxfield. In 2010 Open Creamery Day will take place on the Sunday of Columbus Day weekend again! As the hardwood foliage bursts in a blaze of colors on Columbus Day weekend, here is an opportunity to take in the spectacular sights and to taste some award winning cheese at the same time. 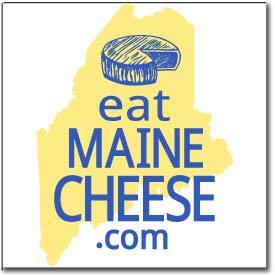 Visit the creameries, meet the animals, and learn the stories behind Maine’s more than 150 artisan cheeses. Along the way you can also visit a farmers’ market, stop at an orchard, explore one of Maine’s premier breweries or winemakers, and drop-in on one of the many artisan breadmakers our state has to offer. You’ll love the views, but you’ll remember the taste! We are a new cheesemaking company looking to focus on soft and semisoft edible rind cheeses.We have a wonderful organic milk supply from Brook Ridge Farm in Lyman.This herd of milking shorthorns,owned by Mike and Rick Guillemette,provide high butterfat and high protein levels that are perfect for our style of cheese. We hope to have a washed rind cheese and a bloomy rind camembert like cheese available for Open Creamery Day. Fresh goat’s milk chevre. Plain and with herbs. Cheese is available wholesale and locally at natural and gourmet food shops. Garden Lore is located on the banks of Tannery Brook in Mariaville, ME. Here you will see our farm animals which include goats ranging in age from 8 months to 9 years. The farm also has ducks, chickens and anything else we can pick up along the way. Taste the farmstead and artisan cheeses made here from our Nubian and Oberhasli goats. Several flavored chevres, feta and ricotta and now making aged cow and goat cheeses. Herbs used in flavoring cheeses grown right here on the farm. Take a hay ride and pick out your pumpkin in the pumpkin patch. Hope to see you on Sunday! Harmony Mill Farm is a small family farm that sells raw milk and cheeses. We are located on the shores of Graham Lake in Waltham, Me. Jon and I use organic practices to produce our milk and care for our cows. Jon is our cheesemaker and is perfecting our Jersey Gold Raw Milk Cheddar. He also makes a heat treated Ricotta and Ricotta Salata, a salted pressed fresh cheese. Kennebec cheeses reflect the mix of cheese makers, Kiwi and Yank, bringing pastoral skills and recipes from New Zealand back to the family farm in Sidney, Maine. We handcraft small batches of cheese and yoghurt from Alpine goat and organic Jersey cows’ milk. The goats are raised on pasture and GMO-free grain here on Koons Farm and Willie raises his cows on nearby Woodside Farm. Come see our pet lambs Bambi and Coco, along with our 12 doelings Courtney, Clover, Colleen, Chai, Coffee, Cream and the others, plus Dalai the llama. Liberty Fields Farm in Saco, licensed since 2005, is a small family-operated farm specializing in award-winning artisanal cheeses from our herd of Nubian goats. Cheeses made daily include fresh chevre, feta, mold-ripened Saco Bay, gouda, and tomme. In 2007 our feta was awarded 2nd place in the ACS competition for goat feta, and in 2008 our Saco Bay Dusk received a 1st place award for soft-ripened cheese made from goat’s milk. Our philosophy is simple: provide farm fresh cheese produced in small batches to ensure the finest quality. Artisanal farmstead raw milk aged goat cheese (MOFGA certified 100% Organic) made from the milk of our hand-milked herd. Painted Pepper Farm, a saltwater family farm nestled in a downeast coastal woodland, produces a delicious goat’s milk yogurt year-round exclusively from our organically managed herd of Nigerian dairy goats. Other dairy delights — fudge, ice cream & chevre — are available seasonally. Visit our farm at our new location and sample our fresh and aged cheeses. All our cheeses are made with fresh milk from our own Nubian goats and with the delicious, organic milk from the Jersey cows at our partner farm, Clovercrest. We are two family farms working together with a passion and dedication to our animals and the milk they provide. Meet the cheesemakers and the goats (the true artisans) of Olde Oak Farm. taste and talk with the folks that make the cheese. Fresh, mold-ripened, and aged cheeses from locally-produced goat and cow’s milk; hand-crafted in a galley-sized cheese room. We produce a variety of plain and flavored chevres as well as an all goat milk mozzarella, Whole goat milk ricotta, a traditional goat milk fetaKefir, raw goat milk, Chicken eggs, duck eggs also breeding stock. Townhouse Farm specializes in Middle Eastern style cheese and yogurt. We offer the following products: “Ewegurt” (sheep milk yogurt) – the ORIGINAL Greek Style yogurt; Feta (goat milk); Halloumi (Cypriot frying cheese from cow milk); Morgandie (a mild aged cheese from cow milk); Chevre – plain, herb, garlic, zanzibar; and cultured butter. All natural raw milk and yogurt and cheeses from very rare Randall Lineback Cattle. Posted in Events, Guild, News and tagged Open Creamery Day. Pingback: Spring Day Creamery » Blog Archive » Open Creamery Day, sponsored by the Maine Cheese Guild, is this Sunday,October 11th, between 11AM and 3PM. !